TMJ stands for temporomandibular joint. TMD stands for temporomandibular joint disorder. Many people use TMJ and TMD interchangeably. The correct term for the disorder is TMD, but since so many people use TMJ, we are using both. Your temporomandibular joint is essentially a hinge that connects your jaw to the temporal bones of your skull, which are in front of each ear. These joints allow you move your jaw up and down and side to side, so you can talk, chew and yawn. Injury to your jaw, the joint or the muscles of your head and neck. Grinding or clenching your teeth. Movement of the soft cushion between the ball and socket of the TMJ. Stress, which can cause you to tighten the facial and jaw muscles, or clench your teeth. TMJ symptoms, or TMD symptoms include severe pain and discomfort. The pain can be temporary, or it can last for years. It might affect one or both sides of your face. Women are more likely to have TMJ problems, and symptoms are most common between the ages of 20 and 40. Pain or tenderness in your jaw, face, neck and shoulders or in and around the ear when you chew, speak or open your mouth wide. Difficulty opening your mouth wide, as in yawning. Jaws that get “stuck” in the open or closed position. Clicking, popping or grinding sounds from the jaw joint when you open or close your mouth. This may or may not be painful. Trouble chewing or an uncomfortable or painful bite – as if your upper and lower teeth are not fitting together like they normally do. Now, some of these symptoms can be signs of something else, such as an infected tooth, arthritis or sinus infection. 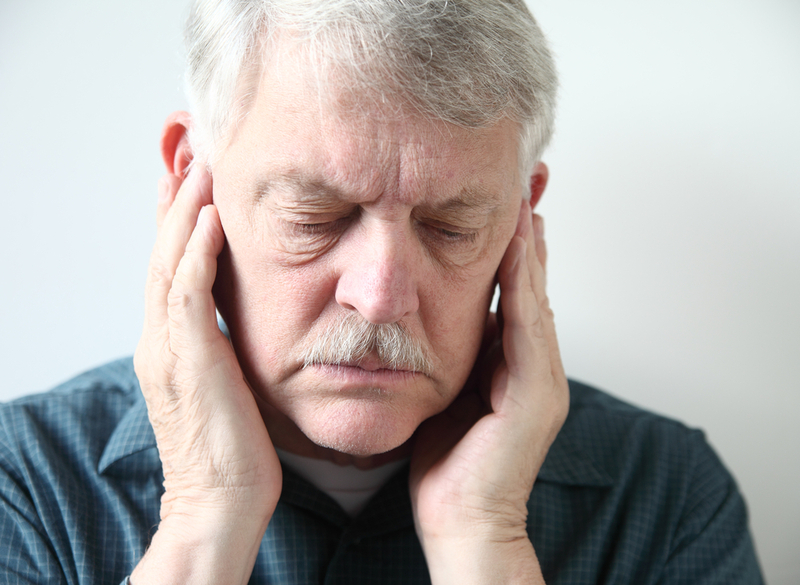 But if you are having several of these symptoms, TMJ disorder may be the culprit. Your dentist can tell for sure. To diagnose TMJ or TMD, Dr. Eastburn will ask about your health history, and conduct a physical exam of your jaw. He’ll check your jaw joints for pain, and listen for clicks or pops when you move your jaw. He’ll check to see if your jaw opens and closes properly, or locks. He’ll also test your bite and check your facial muscles. He may order full dental x-rays to view your jaws, temporomandibular joints, and teeth. He may need to order other tests, such as an MRI or CT scan. An MRI an show if the TMJ disc is in the proper position when your jaw moves, and the CT scan shows the bony detail of the TMJ. Once it’s determined that you have an issue with your TMJ, treatment can begin. There are several things that you can do on your own. You will probably want to try more than one of these at a time. If you have a mild TMJ problem, these first steps may resolve the issue. Prior to taking any medications check with your physician first. Here are some available over the counter medications, NSAIDs (non- steroidal anti-inflammatories) such as Advil, Motrin, generic naproxen or ibuprofen can relieve muscle pain and swelling. Take only as directed. Use moist heat or cold packs. Eat soft foods – yogurt, mashed potatoes, soup, scrambled eggs, applesauce, etc. are your friends. Avoid hard and crunchy foods such as raw vegetables and chips, or sticky and chewy foods like caramel or taffy. Also avoid foods that require you to open your mouth wide to bite into, like a double cheeseburger. Avoid extreme jaw movements like yawning, chewing and yelling. Your dentist can prescribe stronger does of NSAIDs if you need them, and can also prescribe a muscle relaxant if you grind or clench your teeth. Prescribing an anti-anxiety medication can help if stress appears to be bringing on the TMJ issues. A night guard or splint. A night guard is a plastic mouthpiece that fits over your upper and lower teeth so they can’t touch. It prevents you from griding or clenching your teeth while you sleep. A splint has the same effect, but is worn all the time. Dental work. Replacing missing teeth and using crowns, bridges or braces to adjust your bite and balance the biting surfaces may help. Transcutaneous electrical nerve stimulation (TENS). TENS therapy uses low level electrical currents to provide pain relief by relaxing your jaw and facial muscles. Deep heat applied to the joint can help relieve soreness. Trigger-point injections. Pain medications are injected into the sore facial muscles, or “trigger points”. Low level laser therapy. This reduces pain and inflammation and helps you move your neck more easily and open your mouth wider. A last resort for TMJ issues, if none of the other treatments relieve the pain to a manageable level, is surgery. Surgery cannot be undone, so you would want to get a second and even a third opinion from other dentists before having surgery. Call the dental office of Dr. William G. Eastburn at 251-344-2126 to schedule an evaluation for TMJ / TMD. We are currently accepting new patients.